Seminar Coming (again) Soon – Why Xero? Join the Leenane Templeton team and guests for a relaxed one hour lunch to discover the benefits of Xero Accounting software. Xero accounting software provides a powerful view of financial information in real-time. There’s no need to buy expensive software and install upgrades. Xero is available on your PC or Mac in the office, at home or on popular mobile devices – anywhere, anytime. This seminar helps to gain an understanding of the benefits of Xero whilst also having feedback from a Bank, Bookkeeper and Accountant. The beauty of Xero is you can invite a number of trusted people such as us, your accountants, to collaborate online. No more cumbersome transfer of data that can be corrupted or is out-of-date. Want to find out more about Xero click here – Seminar places are strictly limited, RSVP Essential. Join the Leenane Templeton team for our complimentary bi-monthly relaxed luncheons with guest speaker. 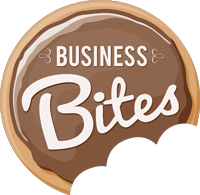 This hour lunch is packed with powerful bite sized pieces of business information, relaxed discussions and networking with other business owners. Discover powerful ideas to unlock the potential of your small business. Places are strictly limited. Please call should you wish to discuss our past events. Andrew Windybank – Principle – Mcabes Lawyers – Why your business should be sale ready.